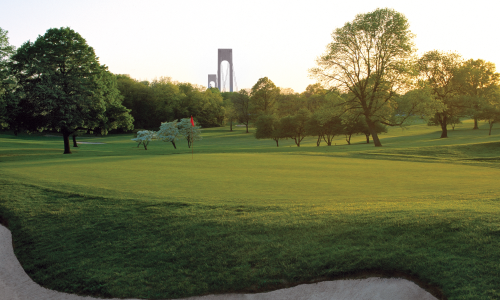 Originally designed in 1897 by Tom Bendelow, nicknamed “The Johnny Appleseed of American Golf” as he was the architect behind nearly 600 golf courses, then redesigned by John van Kleek in 1935, Dyker Beach Golf Course marries historic style with modern convenience. Easily accessible via the R Train and located across the street from a Manhattan Express bus stop, this 6,438-yard par 72 course features lush fairways and immaculate greens tucked away beyond the bustle of Brooklyn. 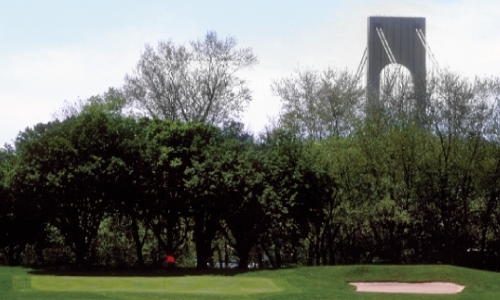 Situated near the Belt Parkway and BQE, and just minutes from the Battery Tunnel, Dyker Beach is the closest golf course to Manhattan Island. To help refine your short game, Dyker Beach also offers a full-size putting green; great for warming up before a game or running drills on the weekend. 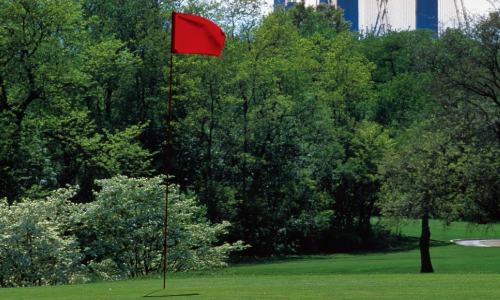 Complemented by unrivaled service from our seasoned staff, and featuring a grab-n-go snack bar, a full-service bar and grill, and a number of other top-notch amenities, Dyker Beach Golf Course has everything you need for an exceptional day of golf. (718) 836-9722 or click here.